The Las Vegas Convention Center for NAB 2018. With an expected attendance in excess of 100,000 this coming weekend at the Las Vegas Convention Center for key technical sessions, workshops and seminars — as well as to examine the latest products and services from more than 1,700 exhibitors — the annual NAB Show has become an important venue for post-production professionals. With a tag line of “Where Contents Comes to Life,” the six-day gathering (April 6-11) will once again emphasize the convergence of media, entertainment and technology (the self-styled MET Effect) together with creative techniques and efficient infrastructures required from creation to consumption. As the broadcast community moves ever rapidly towards deployment of the NextGen TV or ATSC 3.0 standard with ultra-high definition 4K images and immersive soundtracks, a number of sessions and exhibits will be of direct relevance to working professionals, including the implication of audio-over-IP infrastructures and fast server topologies. Jointly sponsored by the Advanced Television Systems Committee, the Consumer Technology Association and NAB, a “Ride the Road to ATSC 3.0” exhibit in the convention center North Hall’s Booth N2512 will showcase facets of the ATSC 3.0 standard, including conformance testing, audio enhancements, watermarking and interactivity. Exhibit sponsors include LG Electronics, Dolby, Sony and Samsung. Sinclair Broadcast Group also will hold presentations focusing on the ATSC 3.0 rollout around the theme “Deploying Next-Gen Broadcast for Profit in a 5G World,” during which company chairman David D. Smith plans to announce the largest ATSC 3.0 deployment of North American TV stations, together with representatives from ONE Media spotlighting emergent technology solutions. Where is the Motion Picture Industry Heading? 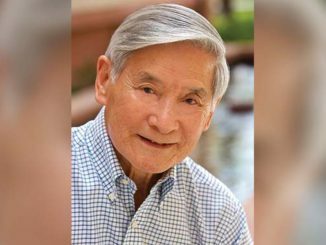 A session entitled “How Videos Are Changing the Way We Make Cinema” will consider how film studios and VFX houses are adapting techniques from the gaming industry for live-action films, including the combined use of real-time and motion-capture footage to create reality shows. Speakers will include Lewis Smithingham, president of VR at 30 Ninjas; Adam Myhill, head of cinematics at Unity Technologies; and Craig Librette and Brian Rausch from House of Moves. 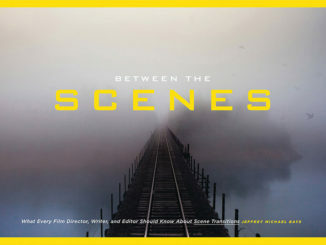 With the North American media industry reported to be spending $100 billion annually making and marketing content, the production of cinematic stories is still said to be very much a high-risk, labor-intensive manufacturing process. The session “Skynet or Bust: How Machine Learning Can Serve Filmmaking” will demonstrate how audience data, inexpensive computation and advanced machine learning methods are beginning to disrupt the way films are developed and produced, using machine intelligence to augment the work of creative. Participants include Andrew Shulkind, director of content innovation with M. Bonnieux, and Myhill. “HDR Rollout and Impact” will consider how the availability of high-dynamic-range screens for motion picture audiences will require new standards — possibly incorporating an “uber master” — as directors and editors explore the medium’s limits and storytelling value, with exhibitors looking for an ultimate return on investment; Eric Gsell, staff engineer with Dolby Laboratories; Matthew Robinson, director of cinema technology at Dolby Laboratories; and Geoff Burdick, senior vice president of production services & technology at Lightstorm Entertainment, are the speakers. 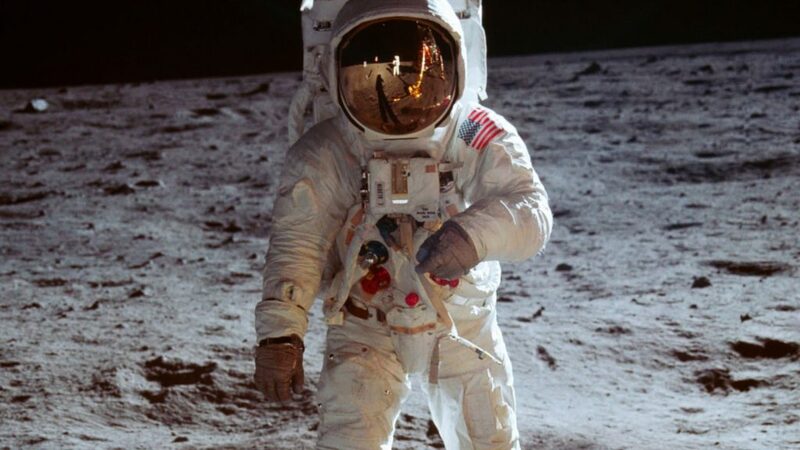 “Audio Systems of the Future” will provide an overview of the ways in which VR and AR — plus XR (Extended Reality in modern mediaspeak) — require new approaches for audio production and playback to accommodate future immersive and interactive experiences in movie theatres. On the picture-making front, “Cinematography at Scale: The Impact of Massive Multi-Player Games on Cinema and Entertainment” will consider how gaming and eSports are beginning to eclipse traditional sports in viewership and revenue, and how advances from the gaming world are feeding back into traditional channels, while “VFX in the Cloud: 5G” will focus on how 5G mobile will dramatically enhance connection speeds with reduced latency and enable cloud processing for real-time VFX plus improved post-production speeds — but with added security concerns. Finally, a tantalizing titled session, “Audio Systems of the Future,” will provide an overview of the ways in which VR and AR — plus XR (Extended Reality in modern mediaspeak) — require new approaches for audio production and playback to accommodate future immersive and interactive experiences in movie theatres. Participants will include Siegfried Fößel from Fraunhofer IIS’ Moving Picture Technologies Department; Tim Gedemer, owner/sound supervisor at Source Sound; Nicolas Tsingos, director of Dolby Laboratories’ Sound Technology R&D; Brian Vessa, executive director of digital audio mastering at Sony Pictures; and Linda Gedemer, technical director with Course Sound VR. The conference’s penultimate session, “The State of Global Cinema,” will consider the changing impact of the international movie business, with Hollywood’s big tent-pole releases relying on the worldwide market for commercial success (the Indian entertainment industry, for example, with recent advances in 5G and mobile communication, has been able to reach rural audiences) and how new technology lets global distributors and filmmakers reach wider audiences. The panelists will Yves Bergquist, CEO of Corto, an AI research company; Chaitanya Chinchlikar, vice president of business development at Whistling Woods International; and Charles Lee, CEO of TWR Entertainment. The closing session, “What Comes After Movies — Is That All There Is?” will examine how streaming services, VOD, OTT and mobile-driven premium content are disrupting the theatrical market, with cinema, TV and advertising industries in transition. The speakers will include Julina Tatlock, CEO of 30 Ninjas; Richard Welsh, co-founder/CEO of Sundog Media Toolkit; Alexis Macklin, a VR/AR analyst with Greenlight Insights; and M. Bonnieux’s Shulkind. Spider-Man: Into the Spider-Verse. Sony Pictures. 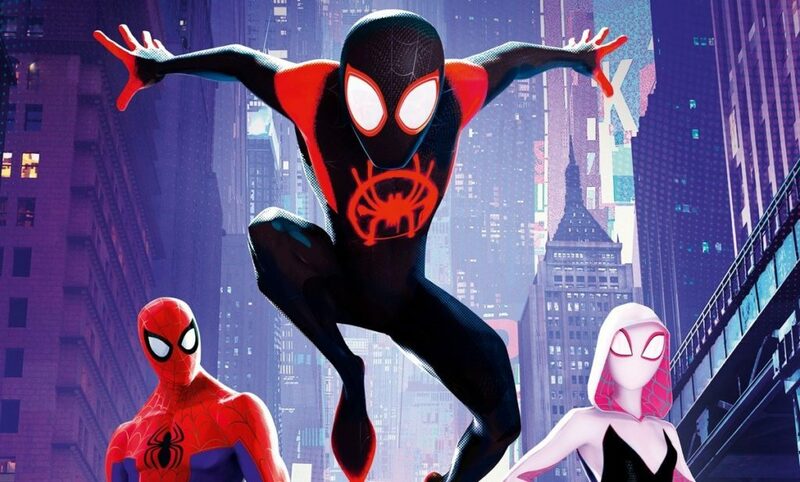 Several sessions in S222/S223 on Sunday and Monday as part of the “Creative Master Series” look particularly interesting: “Editing Inside the Spider-Verse,” moderated by Carolyn Giardina from The Hollywood Reporter, will dissect director Peter Ramsey’s Academy Award-winning Spider-Man: Into the Spider-Verse, including participation from picture editor Robert Fisher, Jr. and first assistant editor Sarah D. Cole. “Captain Marvel: The Making of a Female Superhero Story,” moderated by filmmaker and critic Jim Hemphill, will unpeel the film’s sound and VFX post processes, with participation from ILM VFX supervisor Craig Hammack, supervising sound editor Gwendolyn Yates Whittle, MPSE, and Doug Delaney, a senior colorist. The “AWS Hands-On Workshops for Media Experts,” organized by Amazon Web Services and to be held in Ballroom D, Westgate, will focus on ways to build media workflows in the cloud. Also, the “Post|Production World” program includes 250-plus breakout sessions in various South Hall meeting rooms that will focus on Apple Final Cut Pro, Blackmagic Design DaVinci Resolve, Avid Media Composer, Adobe Premiere Pro and After Effects, plus other editing, graphics and finishing platforms. The program’s keynote on Wednesday morning will feature Oscar-winning picture editor William Goldberg, ACE, who will recall his innovative works on such films as Heat, Pleasantville, Gone Baby Gone, Zero Dark Thirty and Argo. “What Comes After Movies — Is That All There Is?” will examine how streaming services, VOD, OTT and mobile-driven premium content are disrupting the theatrical market, with cinema, TV and advertising industries in transition. Turning to specific announcements from key post-production vendors, attention will be on Adobe Systems, Avid, Blackmagic Design, Elements, Nugen Audio, mSpeed, OWC, RTW and Telos Alliance. Adobe Systems (Booth SL5610) plans to hold a number of focused presentations, including “A New Cinematic Language: The Editing of Searching” with the show’s picture editors Will Merrick and Nick Johnson, “Inside Look at the Atlanta Editing Crash Pad” with editors Kyle Reiter and Ernie Gilbert, “Documentaries and Dragons: Integrating Audio and Video Workflows” with editor/producer Kelley Slagle and audio engineer/producer Seth C. Polansky (Eye of the Beholder), “Setting the Standard for Travel Video” with Luke Wheatley, head of creative and content at Flight Centre, and “Optimizing Post Finishing Workflows for Large-scale Media” with Mark Leombruni, head of news audio at VICE Media. Adobe Premiere Pro’s Freeform Project panel. 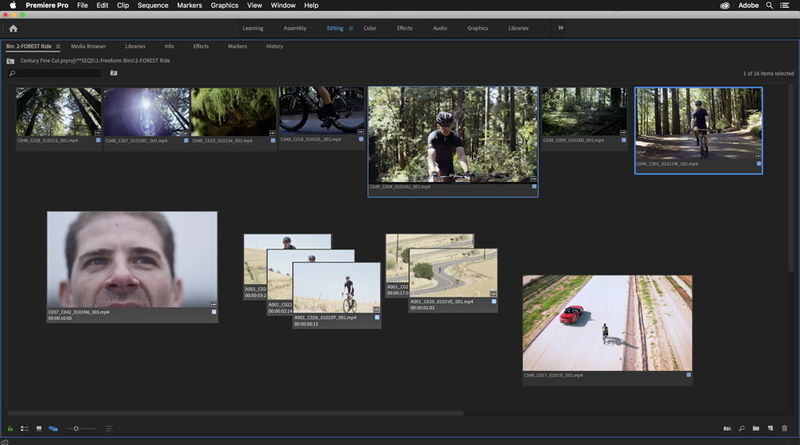 New for Premiere Pro is the Freeform Project panel that is said to expand the current Project panel into an open canvas for organizing media and visualizing ideas, with user-selected layouts for clips, sequences, bins and other assets. Clips can be color-coded and stacked in groups to save space, while making hero shots bigger and building assembly edits that can be dragged onto the timeline. Layouts can be saved for different tasks inside the same bin and moved between layouts. Performance updates include faster Mask Tracking for effects and color workflows, dual-GPU optimization and improved hardware acceleration for HEVC and H.264 formats. Other new features include Content-Aware Fill for video, powered by Adobe Sensei, the firm’s AI and machine-learning technology, along with new capabilities for creating titles and graphics, crafting animations, refining audio mixing and organizing project media. For After Effects, enhancements include GPU-accelerated effects, such as Change Color and Roughen Edges. According to Colleen Smith, vice president of market solutions with Avid (Booth SU801), the company’s theme of “Avid Everywhere” underscores its focus on delivering an open and efficient media platform that is optimized for connecting content creation with collaboration, asset protection and distribution. She has identified the move to IP-based data transport as being critical for file networking and to enable software-defined architectures. New developments are expected for Media Composer, with Maestro real-time graphics integration within the MediaCentral platform. Blackmagic Design’s DaVinci Resolve 15. 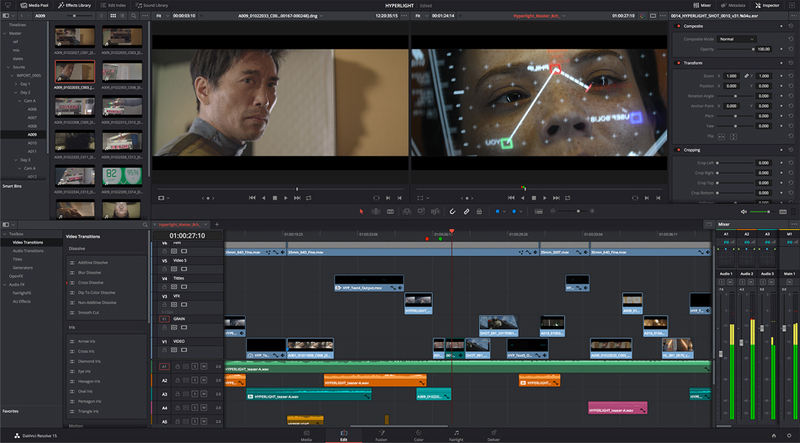 Blackmagic Design (Booth SL216) will showcase new developments for DaVinci Resolve, which combines offline/online editing, color correction, post-production and visual effects, with collaborative features that enable multiple editors, assistants, colorists, VFX artists and sound designers to work simultaneously on the same project. eGPU Pro is an external graphics processor designed to accelerate software such as Resolve, with built-in AMD Radeon graphics, two Thunderbolt 3 ports, a new DisplayPort for 5K displays and HDMI 2.0. New Resolve Micro and Mini panels provide portable control with three high-resolution trackballs, control knobs for essential tools, and dedicated navigation and transport keys. Elements (Booth SL11510) will showcase solutions for collaboration of shared-media workflows, including Bolt storage systems that use high-bandwidth PCIe bus technology to achieve high read rates up to 25 GByte/s with almost zero latencies. The units also support up to 32 Gbit Fibre Channel and 100 Gbit Ethernet ports. Described as highly scalable, Bolt can provide Petabytes of usable capacity at more than 100 GByte/s when set up as a server cluster. Also to be seen: enhanced workflow automation with a new version of the firm’s Task Manager app. 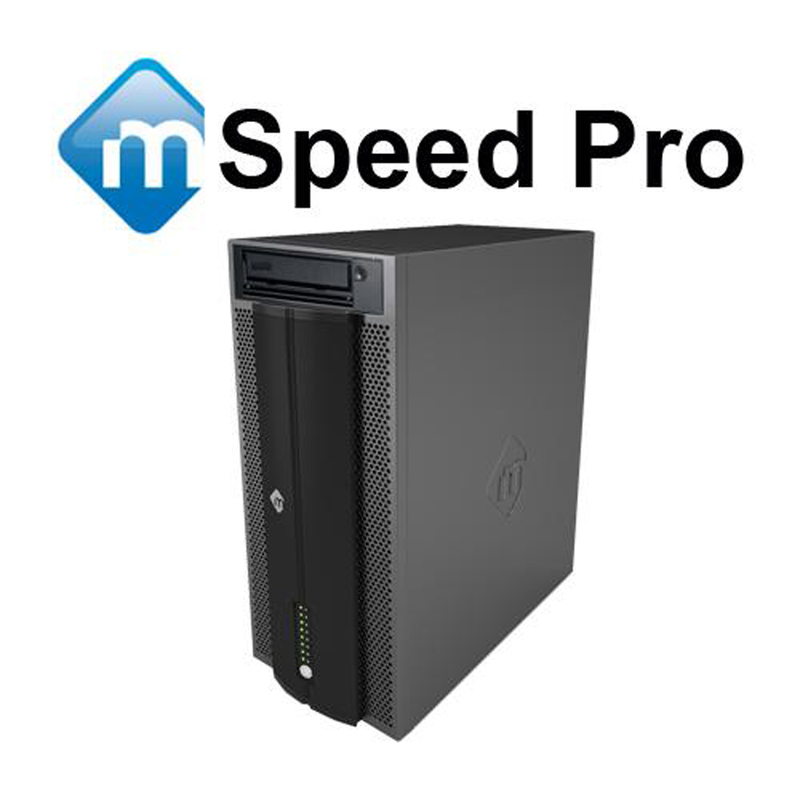 mSpeed (Booth SL13018) will show the new Pro RAID storage system with integral LTO7 or LTO8 backup tape drives and dual Thunderbolt 3 ports, plus support for up to 11 removable 2.5/3.5-inch hard drives or SSDs for data transfer rates up to 2600 MB/s. A RAID 6 configuration is said to offer the ultimate in fault tolerance via 40 Gb/s Thunderbolt 3 ports. 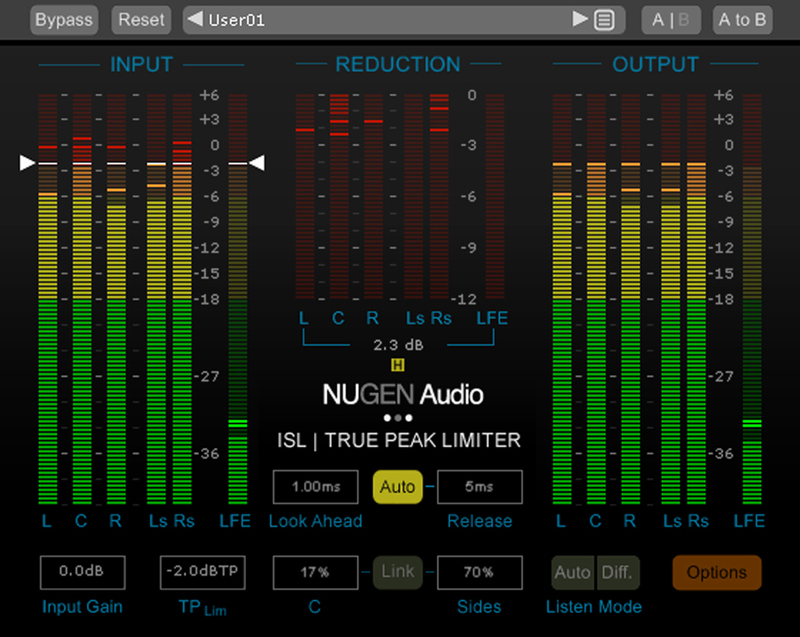 Nugen Audio (Booth SL8330) will demonstrate its Loudness Toolkit 2.8 that includes updated Netflix Loudness Guidelines, together with Halo Downmix. These plug-ins are designed for content creators working on audio that is being delivered to Netflix and other clients. An updated loudness parameter, Dialogue LRA, offers simultaneous monitoring and includes the VisLM loudness meter, ISL limiter and LM-Correct quick fix tool for support of Native Atmos 7.1.2 processing. OWC (Booth C3647) will showcase ThunderBlade high-speed hard drives optimized for picture and sound editorial, with transfer speed up to 2800 MB/s and capacities up to 8 TB; up to six drives can be daisy chained via Thunderbolt 3 ports. Using SoftRAID, two systems can run at 3800 MB/s. The external drives feature a custom-fit ballistic hard shell case for added reliability. 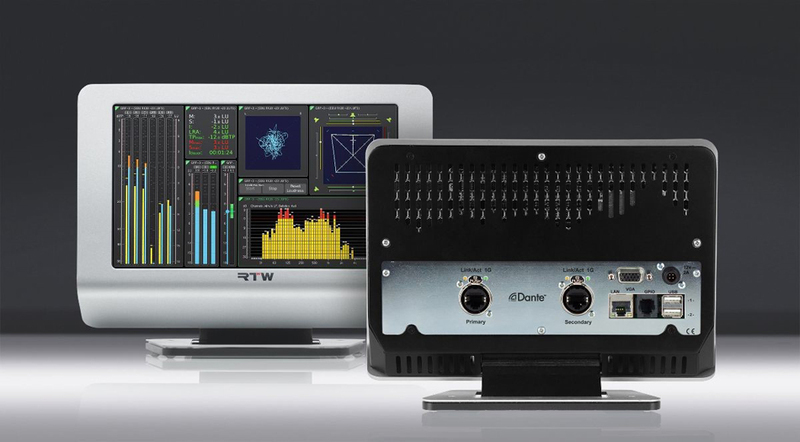 RTW (Booth N3903) will unveil upgraded versions of its TM7 and TM9 TouchMonitor meters that now include Dante/AES67 connectivity across 32 audio channels at 96 kHz, with redundant IP network support. View modes include Loudness, True-Peak, Correlation and Frequency Distribution, with instant visible feedback of network status. Dante compatibility automatically detects and adapts to channel names, which is said to simplify routing set up. RTW’s TM9 TouchMonitor loudness meter. The Telos Infinity (Booth N5806) is described as new audio-over-IP/AoIP infrastructure that offers interoperability through standards-based Livewire+ AES67 connectivity, plug-and-play device integration, an intuitive GUI ,and a matrix-free distributed network architecture. Another Telos company, Linear Acoustic (Booth SU 3921) offers a variety of immersive audio workflows for ATSC 3.0 services, together with loudness monitoring/adjustment systems and AoIP networking devices. An AoIP option of the firm’s Linear Acoustic AERO.8000 TV processor de-embeds two separate HD/SD-SDI inputs, converts the signal to up to 16 channels of Livewire+ AES67 audio, and makes it available for processing, upmixing and transcoding; the audio is then re-embedded into two independent SDI outputs. The AERO.2000 Audio/Loudness Manager hosts the firm’s AEROMAX processing, UPMAX-II up/downmixing and Dolby coding, to provide real-time adaptive wideband and/or multi-band processing; UPMAX-II creates 5.1-channel audio from two-channel sources and a compatible downmix. 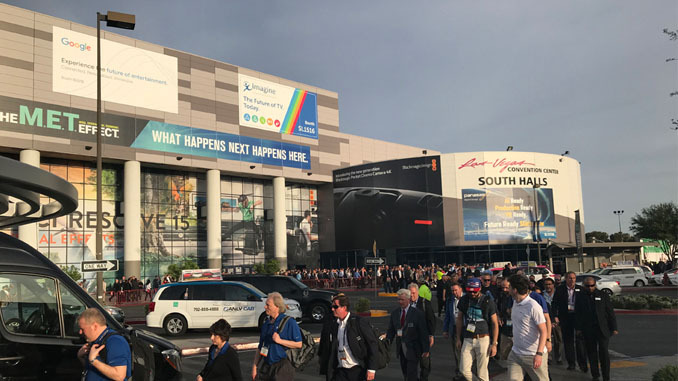 There you have it — more than enough exhibits, sessions, panel discussions and products to keep you busy at NAB 2019. Safe travels and tech-immersement. Mel Lambert is intimately involved with production industries on both sides of the Atlantic. He is a 30-year member of the UK’s National Union of Journalists. He can be reached at mel.lambert@content-creators.com.